🙋‍♂️ Hi. Would you like a free quote today? 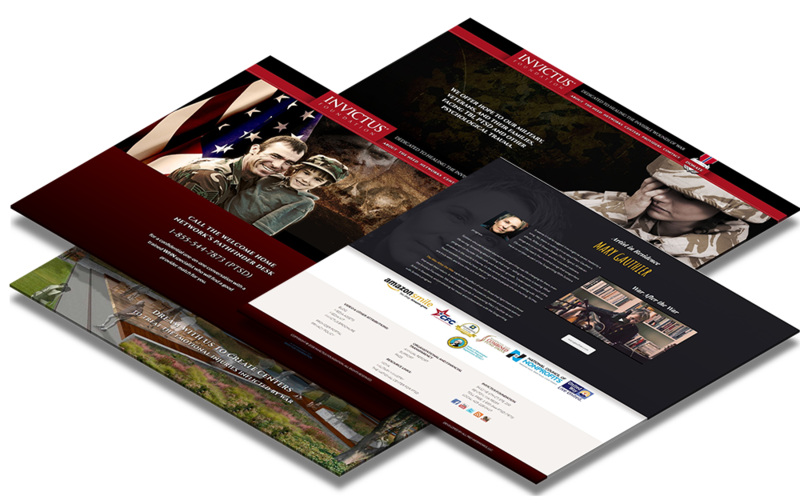 The Invictus Foundation’s mission is to provide a full range of behavioral health programs. These services will be designed specifically for the treatment of military related PTSD, TBI and other manifestations of psychological trauma. There are multitudes of devices and gadgets out in the market today, and not all of your readers will be exploring your website or blog using the same device. There aresmartphones, tablets, notebooks, then, of course,there are those who will be surfing via desktop computers, or laptops. At Mundolance.com we know the adaptability of the screen is just one aspect to responsive design. We can make your website responsive and compatible with different machines and gadgets taking the following into consideration. For mobile users, the navigation is top and centered, while for other width it’s usually at the top right corner or below the logo. It can’t be helped, site navigation will be mapped out differently across the devices used. Scaling it down to make all the elements fit on all screens is not an option as it will make your text really hard to read. We can help you come up with a design where your users will still be able to easy navigate your website whatever device they are using. When the widescreen version of the website has a visible column layout, what does this mean for devices with smaller screens? The columns should be preserved, preferably adapted so the width of one column fits the width of the smaller screen. Again, scaling down everything to make it fit is a bad idea. There will always be that button you want readers to click on. This should always occupy a place of prominence whether in the small, big, narrow or wide version of your website. Your logo is a source of pride and originality it should not be shrunk down to size or compromised just to be accommodated in a smaller browser. A good responsive design Westmont makes sure it reflects the brand at all size screens. There should always be those spaces in between the visual and text elements of webpage. In the interest of wanting to make everything accessible on the screen at the same time you might be tempted to cram together all the elements. We will make sure you have enough “padding” and white spaces so that it will not look too overloaded.